Our focus is to provide an opportunity for complete satisfaction in your involvement in racing or breeding. Belmont Bloodstock Agency research and experience can maximise your chances of achieving success and financial viability. Belmont Bloodstock Agency brings an open minded and independent appraisal to all your bloodstock requirements. Planning, research and attention to detail give Belmont Bloodstock Agency the edge required. Belmont Bloodstock Agency offer a complete spectrum of services to its clients. We have a love of what we do. We have a passion for the industry. The Federation of Bloodstock Agents abides by a strict code of ethics. 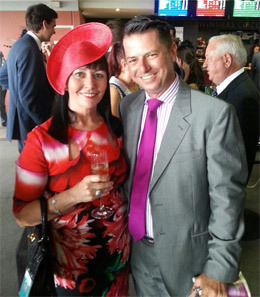 Managing director and owner of Belmont Bloodstock Damon John Gabbedy was born in 1965 in Perth, Western Australia. Growing up Damon’s family raced horses as a hobby and this is where his initial interest developed from. Since the young age of 8 Damon attended race meetings with his parents John and Doris Gabbedy. The families first horse was a chestnut filly by Gay Saba named Bynsaab (1973). 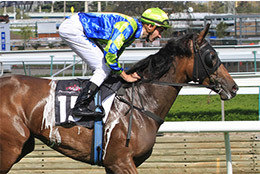 A great success Bynsaab won 8 races including the WATC Champion Fillies Stakes Group 2. The family raced many successful horses including Laniera and Storaia. Damon went to School at CBC Fremantle and completed his tertiary education. While studying a marketing degree at WAIT he obtained work experience at Goodwood Bloodstock (now Magic Millions) under the guidance of successful bloodstock agent John Chalmers. Goodwood Bloodstock created a position for Damon in the pedigree department where his job was to research, compile and tabulate pedigrees for the sales catalogues of all auctions. 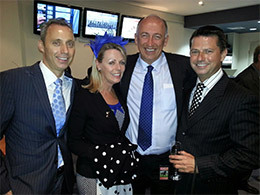 Simon Vivian now leading auctioneer for sales company Inglis played a major role in educating Damon how this was done. Being pre computer era all information was written by hand resulting in long hours, a lot of hard work and a terrific knowledge of thoroughbred pedigrees. Damon worked with Goodwood Bloodstock for 5 years graduating from the pedigree department to Sales Manager.To expand his knowledge of the industry Damon spent a year in Europe. During this time he completed some work experience at the famous Tattersall’s auction house based in Newmarket, England. While being based overseas Damon was offered a partnership in Belmont Bloodstock Agency by its founder Debbie Evans. 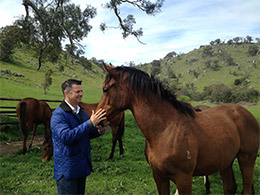 Damon returned to Australia in 1988 to join Belmont Bloodstock Agency as a partner. Debbie and Damon operated Belmont Bloodstock Agency from Western Australia together for 10 years and were responsible for the syndication of Old Spice (sire of Rogan Josh), purchase of Marooned, Don’t Say Halo etc. They were also responsible for two of Western Australia’s most successful dispersal sales, Yarradale Stud and Yalebra Stud. In 1998, Debbie retired from Belmont Bloodstock Agency and it was taken over by Damon who moved the business to Melbourne in Victoria. In 2008 Damon was appointed the Australian and New Zealand representative for the French auction house ARQANA. In addition to this Damon is the Racing Club Co-ordinator for the ARQANA Racing Club which is aimed at recruiting new owners in France. 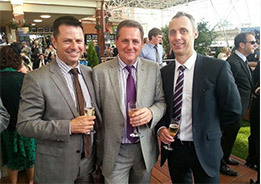 The most current initiative ‘Aussies in France’ aims to get more Australians involved in racing and breeding in France. (More information click here). 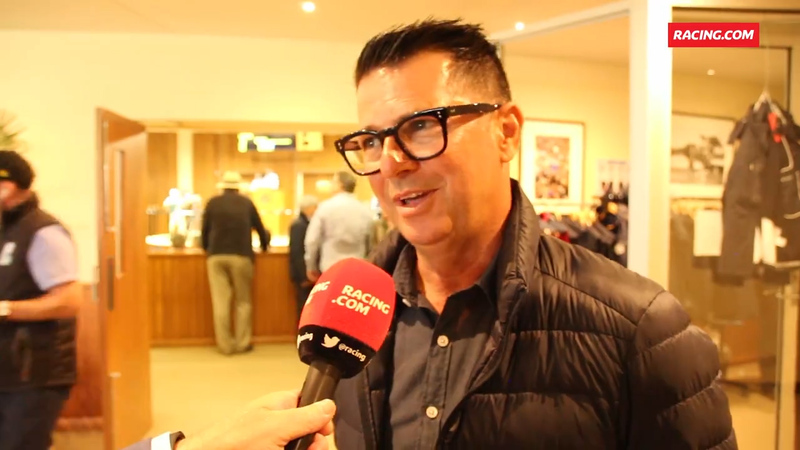 This year Damon will attend the August yearling sale and the December breeding stock sale both held in Deauville France to support these initiatives, inspect horses and encourage Australian involvement in the French Racing and Breeding industry. 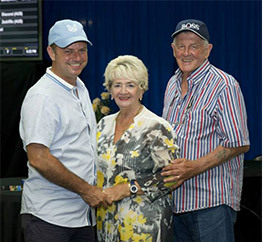 Damon has been passionate about the thoroughbred industry his whole life, this combined with hard work and a high level of enthusiasm has led to the continued success of Belmont Bloodstock.